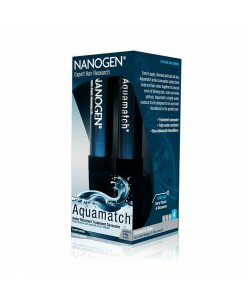 Nanogen Aquamatch Waterproof Scalp Concealer - Instantly makes hair look thicker and fuller - Easy to use: apply a few strokes, blend in slightly, and you’re done! 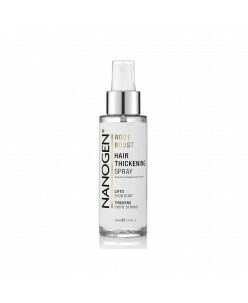 - Works alone or as a base underneath Nanogen Fibres - Especially effective close to hairlines and on wide partings - Waterproof, after a few minutes it will ..
Nanogen Keratin Hair Thickening Fibres 30g with Kinetic™ technology. 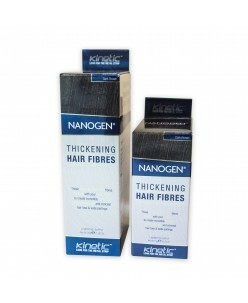 Approximately 2 months supply of Natural looking ultra fine fibers bind to your hair for instant looking natural density that lasts all day. Available in ten natural looking shades which you can mix and match. Kinetic™ Technology, Hair Thicke..